Seating at the Hope Center is limited, so email either of the contacts below to reserve your seat. Click here for the Registration Form Print, complete, and mail the form with your registration fee. 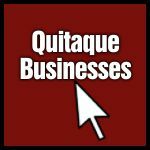 After years of ruminating about having a breakfast gathering where everyone involved could meet and greet and argue, the newly created Comanchero Canyons Museum in Quitaque decided to sponsor a one-day meeting at 9 AM Saturday October 25, 2014 at the Hope Center in Quitaque. It is the first time such a meeting has been held and affords an unprecedented opportunity for anyone interested in West Texas trails to exchange information. A Friday evening reception for Dr. Morris is scheduled for Hotel Matador. The Saturday meeting will start at 9:00 AM and the renowned historian Dr. John Miller Morris of the University of Texas-San Antonio has agreed to give the morning key note. Dr. Morris is author of the prize-winning book El Llano Estacado. 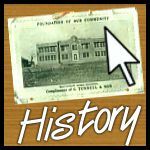 Activities include a tour of the Comanchero Canyons Museum, a panel discussion, a meet-n-greet session, and lunch. This meeting is for anyone who is interested in the history and legacy of West Texas trails. Exhibit space is available and exhibitors should contact the local arrangements to reserve a table. 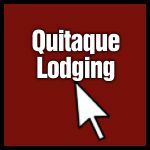 Lodging accommodations have been arranged at reasonable rates at various hotels in Matador and Roaring Springs. 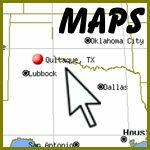 Other accommodations are located nearby at Plainview, Canyon, and Childress. 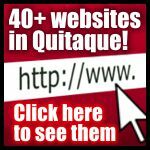 Also, check out the Lodging tab on this Quitaque.com site for B&Bs in Quitaque.